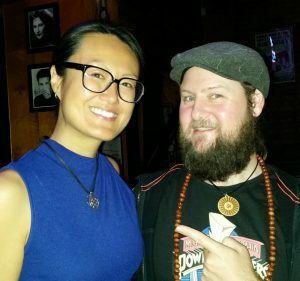 Home11:11New Workshop with Sarah & Kris – 11:11, Twin Flames and Finding Your Lightpath! November 11 (11/11) is Remembrance Day – a time for peace and a gateway for oneness. ~Ever wondered why you’re seeing repeating numbers like 11:11, 111, 222, 333 on clocks and in daily life? ~Don’t worry, you haven’t lost your mind, you’ve finally entered your higher heart, and found your tribe. ~In this World First workshop, Sarah and Kris will go through the 11:11 awakening prompts and why they appear when you’re at a spiritual crossroads. ~a meditation to help you embrace the 11:11 energies, work with the 11:11 Guides and release your fear of seeing Spirit. It is Sarah and Kris’s desire to share a realistic, yet exciting view of the 11:11 Shift. There’s so much information on the internet, it’s easy to become overwhelmed, or dismiss 11:11 as just an ‘Angel number. A solid understanding of numerology, Soul contracts, and global change is essential for making the most of this phenomenon that’s bringing millions of people back to their core Lightpaths. 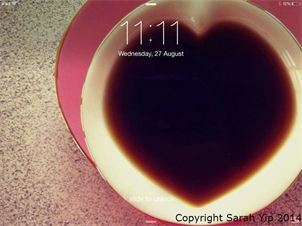 See Sarah’s 11:11 tips, Find Your Lifepath, Numerology Courses or Book a Reading with Sarah. ~Sarah is a professional psychic, numerologist, 11:11 blogger and mum from Brisbane. She transitioned from science, government, and fundraising to launch her business. Her aim is to free someone from fear every single day. Sarah’s entertaining and practical approach will give you comfort, and show you concrete ways you can regain your inner vision and Soul connection. ~Kris is a Tarot reader, actor, and dad who met Sarah during a palmistry demo (see the video – he was her ‘pretend’ lover!) Kris has beaten the odds to create a successful TV show, podcast and carve out a conscious life. His knowledge of alchemy and nature’s wisdom will bring forth your courage and restore your trust in magick. Together, Sarah and Kris are a force for good, combining laughter with truth and lived-in experiences of mental health issues, addiction recovery and the power of unconditional kindness. Space is limited to 40 people (Women and men are welcome at this one-off event) so book in soon. This event is likely to sell out!! Your place is not reserved until you purchase your ticket. As custom to our Red Tent circles, we will do our checking in and sharing circle. Everyone will have an opportunity to share if they wish to. Tickets are $55 for RTA members and $65 for non-members. Refunds will not be issued. Places secured only after payment. Dress comfortably and come as you are. We accept you as you are, no need to wear masks here. Bubs in arms welcome but please note there will be 15min of meditation where they might need to wait outside with you – Sarah and Kris can provide the meditation as a track for download later if needed. The benefits of becoming a member of Red Tent Australia are HUGE! – Sisterhood & Connection; finding your tribe. – Support networks: Online Forums & face-to-face gatherings each month. – Discounted admission to our Annual Red Tent Retreat!! We look forward to seeing you at the Red Tent Australia Headquarters- Point Talburpin Hall, 29 McWilliams St, Redland Bay QLD.